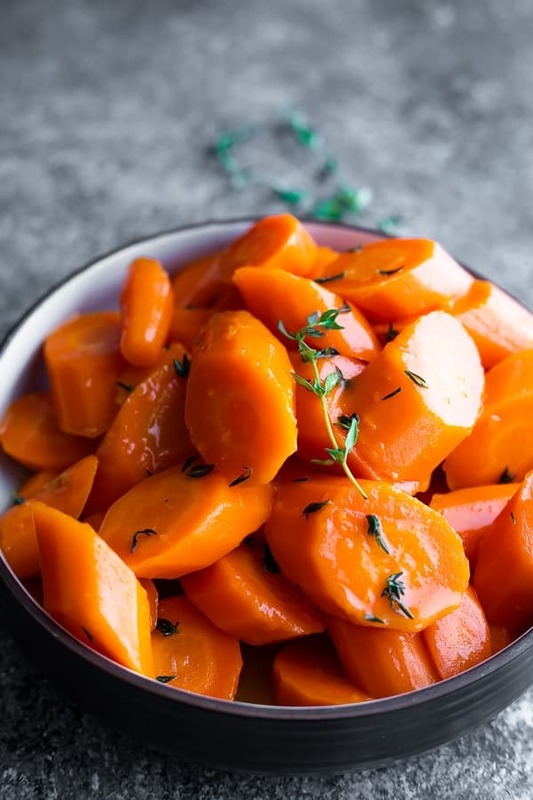 Instant Pot carrots with honey glaze is a 15 minute side dish that is perfect for an everyday dinner or for Easter! I love cooking my proteins in the Instant Pot but sometimes it’s great for prepping easy side dishes as well! 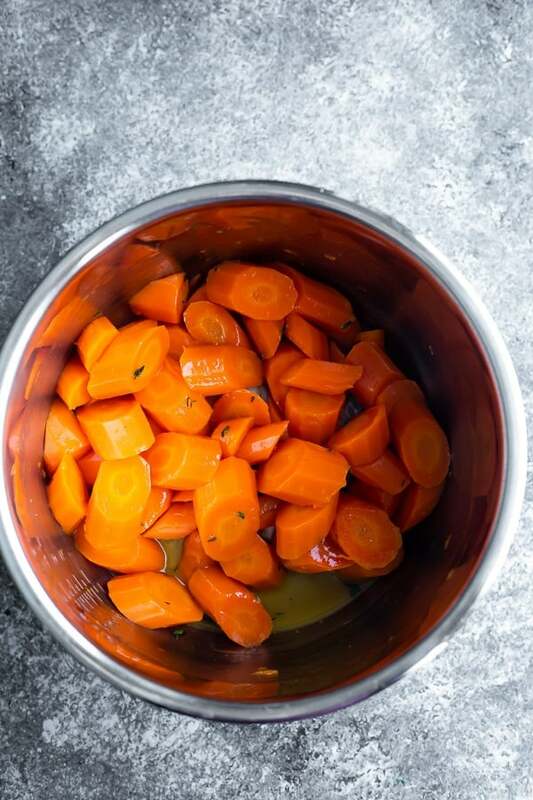 Enter these Instant Pot carrots, which I absolutely had to share with you after Kai gave them ‘infinity thumbs up’! Not only are they delicious with the sweet and savory honey butter sauce, but they are insanely easy to prep as well! 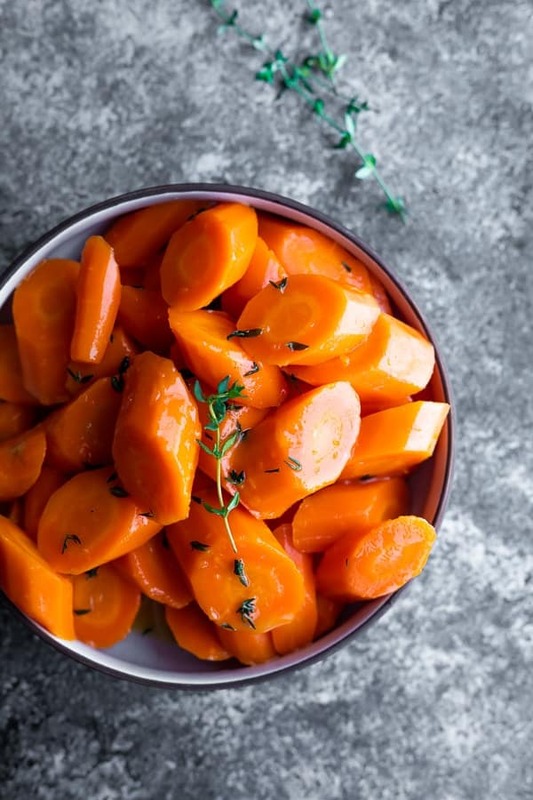 All you need are 15 minutes and 5 ingredients to prep these Instant Pot carrots. They are special enough to serve for a special occasion (like Easter!) but easy enough for a weeknight. My kinda recipe! This recipe is simple and really easy to make! add 1 cup of water to the pot. Place trivet on top of water and carrots on top of trivet. pressure cook for 2 minutes, then immediately release the pressure. carefully remove the carrots from the pot and dump out the water. select ‘sautee’ and add honey, butter, thyme and salt to the Instant Pot. simmer 1-2 minutes, then toss carrots in the sauce and serve! 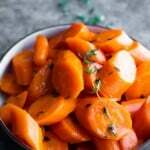 Can I cook this Instant Pot carrots recipe ahead? Yes, you can! Simply reheat on low-medium heat in a pan until warmed through and sauce is melted. Can I use baby carrots for this recipe? Sure! I would try the same cook time. 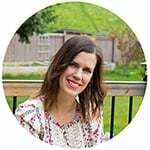 Can I make this Instant Pot carrots recipe vegan? You could try swapping the butter for vegan butter and the honey for maple syrup. 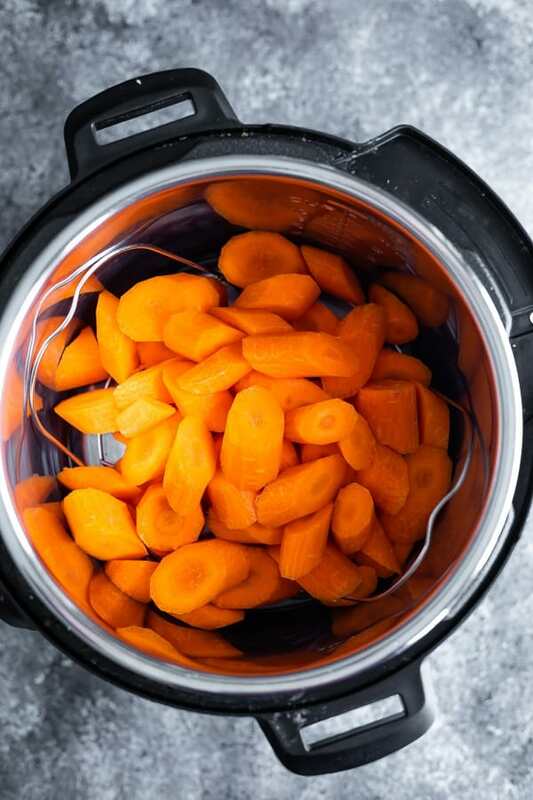 Wondering what to serve with this Instant Pot carrots recipe? Place 1 cup of water in the bottom of the Instant Pot. Add trivet on top. Place carrots on trivet (it's OK if some fall through). Put lid on Instant Pot and turn valve to 'sealing'. Cook on manual high pressure (or 'pressure cook') for 2 minutes. When Instant Pot beeps, immediately release the pressure. Remove the lid and carefully transfer the carrots to a clean bowl. Carefully pour out the liquid from the Instant Pot. Select sautee. 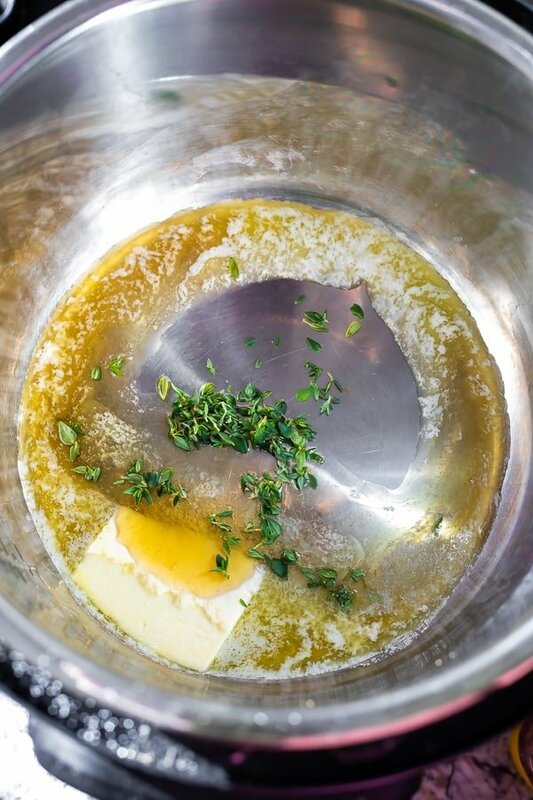 Add the butter, honey, salt and thyme. Simmer for 1-2 minutes, until slightly thickened. Add the carrots back to the Instant Pot, toss in the sauce, and serve. Thanks so much for the tips! I can’t wait to make it again. So happy you enjoyed them! Aren’t they easy? Hope you had a great Easter!